In visits to the North and East over the last couple of years, I have been most impressed by the Community Policing commenced by the present Inspector General of Police. This is a worthy initiative, which must be encouraged and developed further. It would be helpful if senior police officials all over the country noted that, as indicated in the very systematic instructions given in the Eastern Province, this is in accord with one of the basic ideas of the Mahinda Chintanaya. Though the President has made it clear he is deeply committed to consultation of the grass roots and swift responses to the needs that are expressed, unfortunately I do not know of any other government departments that have acted to institutionalize this policy. The IGP therefore deserves double commendation for his imaginative work in this regard. However I should note that the idea of Community Policing is not new. Its first exponent was Mr Osmund de Silva, the first Sri Lankan to become IGP by promotion from the force – though I should note that he would have preferred the term Police Service to Police Force. Unfortunately Mr de Silva came under suspicion from politicians, who were just establishing themselves as central decision makers on all subjects. Naturally they felt threatened by the symbiotic relationship between police and people that Osmund de Silva was trying to develop, and wanted to stop such threats to their own increasing control of all aspects of life. This is a pity, because politicians cannot solve all problems. They function at too great a distance for this to be possible, whereas the police can ensure close contact at all levels as well as conveyance of problems that cannot be resolved locally to the next decision making level. Sadly politicians tend to dislike alternative sources of satisfaction being developed, though if they thought more carefully they would realize that they could take advantage of such practical mechanisms. Thus I am regularly told, at Divisional Reconciliation meetings, that matters brought up at Divisional Development Committee meetings are thereupon ignored by the politicians who chair these meetings. This leads to strong criticism, which I believe is misplaced since, in defence of my colleagues, I should note that it is physically impossible to remember everything they are told. Indeed, I have noted as a general principle in life that the person who asks for something remembers the request and grows more resentful with every day that passes during which it is not fulfilled; whereas the person asked has forgotten the request totally. Thus, at COPE, we find that one institution claims it has informed another which denies such information. This does not mean either is lying, rather it means that the less concerned institution has forgotten – and given that we are not very good at reporting and maintaining records, the needs that were expressed can easily pass into oblivion. Community policing would then help to focus attention where it matters on local problems. Sadly, Osmund de Silva’s vision was not shared by either his predecessor or his successor, who were not policemen, but administrators, so they stuck to the old British system of administration and policing. That was paternalistic, government officials being at the top of a hierarchical view of society, and the villagers, about whom Osmund de Silva cared so passionately, being at the bottom. Sadly, while British administrative practices have changed, to promote greater accountability, we are still stuck in some respects in a colonial mindset. 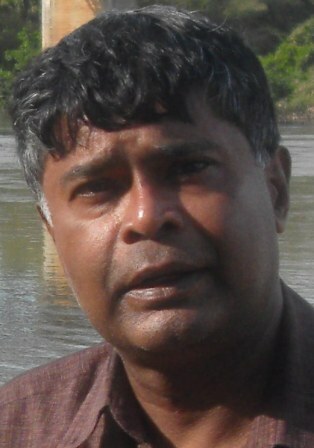 Thus I believe it was only one of the best IGPs of recent times, Rudra Rajasingham, who studied and wrote about what Osmund de Silva had attempted – though given the terrorist problems that were developing in the early eighties, IGP Rajasingham was not able to innovate as perhaps he would have wished. It has been left then to the present IGP to finally work towards entrenching this important idea. His determination to allocate at least one police officer to every Grama Niladhari Division was the first recognition of the central nature of the role of the Grama Niladhari, the first interface between government and people. A dedicated policeman was the first government officer allocated to the GN Division, though now thankfully the Ministry of Economic Development has now followed suit. In both cases good training and clear instructions are vital though, in the case of policemen, one assumes their basic training will help with the range of tasks arising from their responsibility for a particular GN Division. What was most heartening though was to see that, at least in the Eastern Province, clear written instructions have been issued as to how coordination should be developed. Even more importantly, there are clear instructions too about the need to maintain records, and to pass information on to the next layers of the administration. A welcome innovation in the East is the Advisory Committee that has been set up for every police station. This means 45, the same number as there are Divisional Secretariats, though unfortunately these are not identical in area. I think this is a great pity, and I have indeed written more than once, with regard to the North as well as to the East, to the IGP about changing this. This is essential if we are to work in terms of the teams that the idea of Community Policing entails. Though it is argued that police stations have to be organized in terms of courts, in the first place the placing of courts too needs to be reviewed – given for instance the absurdity of people living in the Divisions of Mullaitivu that lie west of the A9 having to travel to its Eastern extreme to attend courts. More importantly, the vital functions of the police should be recognized as being keeping the peace and preventing crime, not punishing it. For this purpose their relationships with the communities in which they function, and the other government officials who can contribute to security of all sorts, are more important than their relationships with the courts. In this regard, the core components of the team of Advisers for each police station are impressive. In requiring that educationists and medical personnel and religious dignitaries are included in the Police Advisory Committees, the police have recognized that health and education and spiritual needs are vital for promoting the personal security that people need. That in turn improves the possibilities of consultation and cooperation, without which small problems are apt to fester. Incidentally, while I believe this sort of team will help with what might be termed protection needs, we should also develop at the grass roots teams that look at development and livelihoods. One of our biggest problems in this country is the incapacity of government institutions to work together, which is why it is essential to institute mandatory consultation mechanisms at least at Divisional Secretariat level. Training needs in each division, planning for greater agricultural productivity, the promotion of small enterprises, all require greater coordination than government now provides. To return to the systems that have been instituted, they could be improved if even the local committees have mandatory representation of the health and education sectors, as well as of religious bodies and non-governmental organizations providing substantial services. These individuals would constitute the core team that an administration requires for advice as well as for monitoring of the ground situation. In the days of my grandfather, who was the first Sri Lankan Government Agent, there were regular informal meetings between the GA, the local police chief (who was usually just a Superintendent in those days), the Magistrate, the MoH. I believe that later on, with Kannagara’s seminal education reforms, the local Director of Education was also seen as a worthy. Of course as time passed the level at which such consultation was meaningful moved from the Province to the District. Now it should be at least the Division, though sadly that sort of team building no longer operates. If and when it does, perhaps we should move to Grama Niladhari level too, while recognizing that making decisions at that level might be difficult, so greater concentration on the Division would make sense. I believe that would help solve many of our problems. It is good that the police have taken the lead in working cohesively at this level, with statutory input from community representatives. These efforts deserve all success, and I can only hope they will be replicated all over the country. This is what is needed, now to protect communities from the various deviants and trouble makers. In the US they had Minutemen from the communities to protect from the British. Some have fire departments like that. Osmond de Silva began this kind of work when he was an ASP. He joined with Justice Akbar and Ven. Kalukondayave Prganarama in developing Crime eradication and village development societies all over the island. This was in the 1940s. The program had 99 points. You should try to read ven. KP’s autobiography to learn about that side of the Sinhala Buddhist society that you seem to be lacking. The Police should have a combination of “good guys” and “bad guys” to work effectively I feel. Community police is the front line with the soft apporoach without weapons and kinds words etc. The miscreant needs to know “bad guy” police is always there if he/she fails to fall inline. This could be the CID or STF with a fierce and uncompromising reputation for no-nonsence rear guard action. They come in guns blazing breaking down doors if need be. You really are stupid and you shock me with your comments. But in the Current Sri Lankan climate the majority are ” Bad Guys” Thugs and that is why the country has descended in to anarchy. No Law & Order. Back to the future eh ? One cardinal mistake you are making is assuming that the “policemen” will have ethics and integrity and above all else be respected by society. This will NOT happen with the current police force ! …..and even if our police have ethics and integrity, IT WILL NOT happen if politicians are allowed to interfere in our policing. 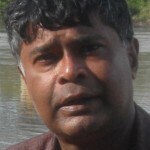 To someone who worked for many years in a city that had the reputation of being the preeminent practitioner of community policing internationally at the time, what is evident to me here is more of the “top-down” monarchical methodology that is the current Sri Lankan “reality,” all protestations to the contrary notwithstanding. All that seems missing in this model is the required reference to this concept having its roots in the Sri Lanka of King Dutugemunu. However, it seems that Mr C. Wijeyewickrema is seeking to rectify even that particular “omission” as well. For several years community organizations worked as partners of the Edmonton Police Service in Alberta (Canada) and what is beyond argument is that “community policing” can ONLY amount to anything worthwhile in a truly democratic society, certainly not in one increasingly sliding into dictatorship, “benevolent” or otherwise. The voices of paid spin-doctors, no matter how slick, only serve to prove that their knowledge is based, at best, on some shallow “book-learning” or “consultation” with functionaries giving “the orders.” It is nothing short of ludicrous for the people calling the shots in Sri Lanka today (and I don’t mean Weliveriya, the Free Trade Zone etc.) to claim that they are practicing anything that comes within a country mile of a democratic, consultative process such as community policing! How does it go? “Better to be silent and be thought a fool than to open it and ……..!” Or is it a case of the one-eyed man being king in the land of the blind? I wonder, yet again, what world Prof. Rajiva lives and dreams in. Does he not know who is still the defacto, if no longer the de jure, boss of the police? Does he not know how deep and high the rot goes? Does he not know about the massive military presence of the military in the north and east and whose “security” priortiies take precedence there? And does he not at least by now know the brothers determination to subjugate and humiliate the Tamils of the north? In this context, all talk of community policing is a cruel joke. An irrelevant joker trying to remain relevant. Rajiva bigger things are happening from TNA winning the northern election to your king calling your buddy a NGO man, in case you didn’t notice. Move out of the way..no time for your sad pathetic self glorification. Rajiva Goebbels at some important work here. True, he may also be accused of working for an NGO and all but do not sideline important work assigned to his English professorship. Who is this grandfather humble servant? Rajiva what did you smoke last night? Community policing, whom are you sucking up to? IGP? Well what happened to the community policing when the Uthayan news paper office was attacked, the lady who contested for TNA was attached, a young girl was killed, politicians were shot at and many more incidents. If the community policing what you say was efficient how did all these things happen? You first gave advice to the President, he did not care too hoots about it, then you started telling us that you have given advice to various ministers, what happened, nothing. Now you are writing in this column and giving advice. Have you paused for one minute to think, if you are truly relevant in today’s political scene? Be honest to yourself first before you give advice to the public. and regarding your COPE comments…. strange how easily you accept bad memory in development committee members…. You normally have a habit of talking a lot of rubbish and this time is no different and let take issue with you on the Fundamental Principle of Community Policing in the North. “Essentially, community policing is about police engagement with the community, through restructuring police organisations and altering the daily activities of operational police officers. In its purest form, community policing can simultaneously be defined as a philosophy and an organisational strategy . Central to the philosophy of community policing is the emphasis on effective working partnerships with the community. 1) In visits to the North and East over the last couple of years, I have been most impressed by the Community Policing commenced by the present Inspector General of Police. This is a worthy initiative, which must be encouraged and developed further. I am really surprised with your comments above and I have also been to the North and my experience in talking to people is just the opposite. People are afraid to talk often for fear of reprisals if they spoke against the authorities. The rule is enforced in the North using strong arm tactics often to terrorise and to subjugate. I am sure even you will admit what MR has in mind for the North and that is Ethnic Cleansing. I was shocked to listen to his Interview with Aljazera in which he quite categorically stated that no Tamil was killed and it was all a lie and propaganda. As the Commander in Chief No apology for the pain and misery he has caused. He denied everything that he has been accused of despite overwhelming evidence to link him to the Crime Scene. In answer to a question about the white Van what he said amounted to him saying that people can use other Vans and dare I say that what he was implying was that there aren’t enough White Vans to carry out the Crime. with the local population and look up on them as a terrorists how can community policing have any effect or meaning. For Community Policing to work and to have any meaning we must have the following. 1) The officers to be drawn from the Local Population. 2) In the days of my grandfather, who was the first Sri Lankan Government Agent, there were regular informal meetings between the GA, the local police chief. What you are talking about doesn’t mean a thing in this current climate of fear and mistrust. 3)I believe that would help solve many of our problems. It is good that the police have taken the lead in working cohesively at this level, with statutory input from community representatives. These efforts deserve all success, and I can only hope they will be replicated all over the country. For community policing to work first of all people must have a stake in the Society , Trust in the police who are responsible for their Security and have a sympathetic ear. None of these things exist at the moment and your Idea Of Community Policing: Then And Now will not work under the current set up. So stop day dreaming and get real. Now we know why you wanted to retain Police and Land powers so that you can enforce your brand of Community Policing. Has any one seen or heard from Mr.Gothabaya Rajapakse the Defence Secretary who has not been sighted for the last few days. He was last seen ( after what we believe a heated argument with his Brother MR at Temple Trees) walking long Galle Road wearing an Army Camouflage Uniform and turning towards the Beach. There was a sighting of a Small Dinghy and it is possible he may have got in to it ( Like Anton Balasingham when he fled persecution) and fled to a safe Third Country and living under an assumed name or may have been extra judicially killed and if that was the case Chandraprema might have news of that as he is an authority in that field. We need to know his whereabouts so that MR can appoint someone for his portfolio to order the army ( who total 150,000) out of Northern Province to resume normal life. There is a danger in appointing someone until Gothabaya Rajapakse is confirmed as either Dead or Alive for fear of being killed if and when he returns same as no one would take the post of Leadership in Spain after the Revolution until General Franco was confirmed dead. BUT IF ANY ONE HAS ANY NEWS PLEASE CONTACT THE LOST PROPERTY OFFICE OR INFORM PROF RAJIVA.